Not touched mine yet! Got a rather embarrassingly large queue of puzzles to solve!! Trying not to piss off the present Mrs S too much so taking them slowly rather than doing them all at once! 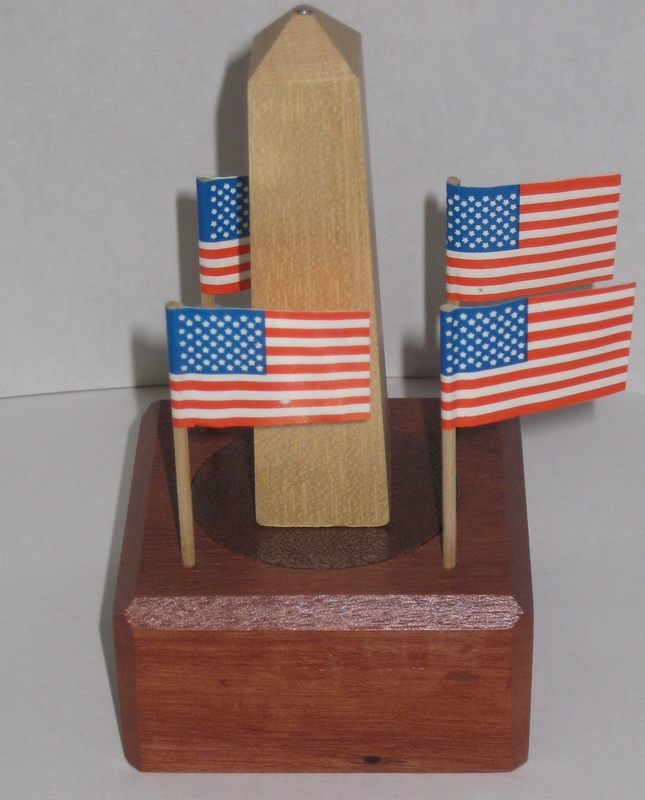 Any news of my Hex and Domino puzzles? I don’t think we got ANY hints when the puzzle was exchanged! Gravity pins, ugh. I haven’t even been able to get mine open yet. 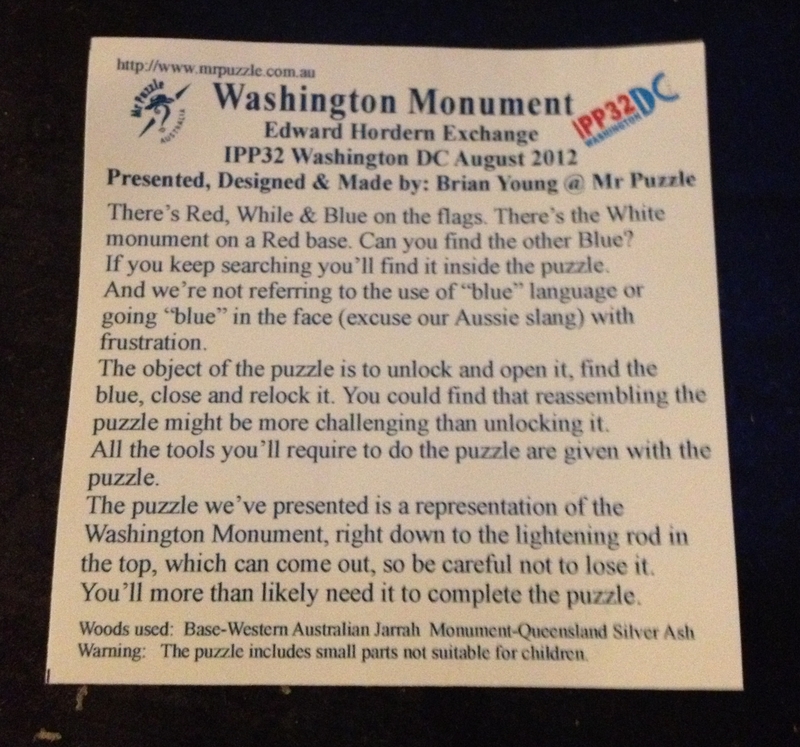 There was another Washington Monument puzzle in the exchange which I found easier to solve. I’ve solved it, I think! The most confusing part of this puzzle is the explanation. I’ve not solved it! You get a lot for considering your money with this puzzle, especially considering it didn’t cost me anything!